Power to Create – Collaborative routes to social value. Who has the power to create? 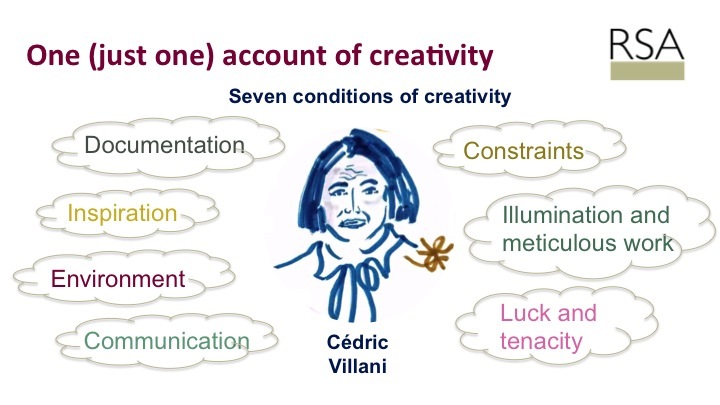 What social and economic conditions are needed to enable people to think and act creatively? And how can organizations encourage people to solve challenges in new, creative ways? Tony Greenham’s presentation explored the possible conditions under which creativity to emerge. These provocative questions reflect the challenges of inhabiting an economic context beset with uncertainty and ‘austerity’ – a context that demands creativity and innovation from organizations in all sectors, if they are to flourish. They are perhaps especially salient where organizations operate in multi-stakeholder contexts, where some voices are amplified and others risk marginalisation. How can we encourage an environment where everyone has the ‘power to create’ – at work, and beyond? In this blog post, Value Unlimited lead researcher Dr Beverley Hawkins explains how Value Unlimited is contributing to these debates around ‘Power to Create’, a theme identified by one of the world’s oldest think tanks, the Royal Society of Arts, Commerce and Manufactures. What are libraries for? What impact do they have within their communities? And how can libraries use and improve this impact to inform new business models, which will help them to be financially sustainable? How do libraries learn to use the data they possess and how can they do this openly and in collaboration with other stakeholders?